Daihatsu, the oldest of all the Japanese motor manufacturers, first introduced the Charade in 1977 but the vehicle was withdrawn from the UK market in 2000 before being completely redesigned and relaunched three years later. Available in three or five door versions, all powered by the 1.0 litre, three cylinder engine, the Charade competes strongly in the city car market. Two trim levels are available. The EL comes with ABS as standard while the SL adds alloy wheels and air conditioning. The car's designers made driver comfort a priority - the front doors open out to a full 90 degrees, making it much easier to get in and out of the vehicle while both the steering wheel and front seat belts are height adjustable. Rather like the Tardis in Dr Who, the used Daihatsu Charade seems bigger on the inside. Although it is 20 cm shorter than the Ford Ka, the interior feels extremely spacious and airy. With a single engine size, all used Daihatsu Charade cars for sale fall within Group 5 for insurance purposes, regardless of trim level or spec. 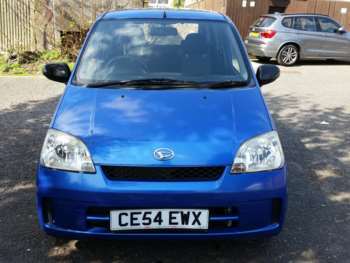 Expect to pay just over £3,000 for an 03 plated EL Charade with three doors. If you want more doors or a higher spec, the price will be a little higher, but not so much as you might expect. A five-door SL on an 03 plate will cost around £3,500. If you choose the automatic rather than manual version - which makes for more comfortable driving through crowded city streets - you will need to set aside extra cash of up to £400, no matter which spec level you choose. With no major faults having emerged during the lifetime of the used Daihatsu Charade, there are no special issues to look out for. As with all cars designed primarily for the school and shopping run, the biggest danger they face comes from small curious hands tugging and tearing at the fabric and fitting in the rear, not to mention spilled drinks and snacks. Such vehicles are also prone to minor knocks and scrapes due to the large amount of time they spend in supermarket car parks, so check the exterior carefully before parting with any money. Daihatsu spares are widely available and generally inexpensive. Even major components such as a clutch assembly for a 2003 EL can be purchased for around £155. Once again, the fact that all the models share a single engine and therefore have identical components is of benefit to owners as it helps to keep the costs down. Consumables are also reasonably priced: a full set of brake pads costs £30. The used Daihatsu Charade's small engine, combined with a design that focuses on keeping weight to an absolute minimum, allow the car to return hugely impressive fuel economy figures of around 58mpg. Despite this, the car never feels sluggish and the use of Dynamic Variable Valve Timing (DVVT) means there is plenty of pulling power at low revs. Speed sensitive power steering means you always get just the right amount of 'feel', whether you are on the motorway or manoeuvring into a tight parking space. The Daihatsu Charade is a sturdy and reliable car that outshines the city car competition. 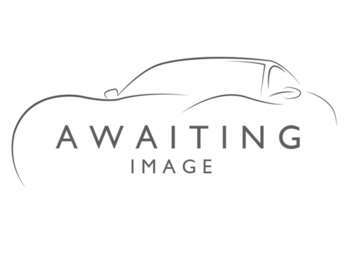 Got a specific Daihatsu Charade model in mind?